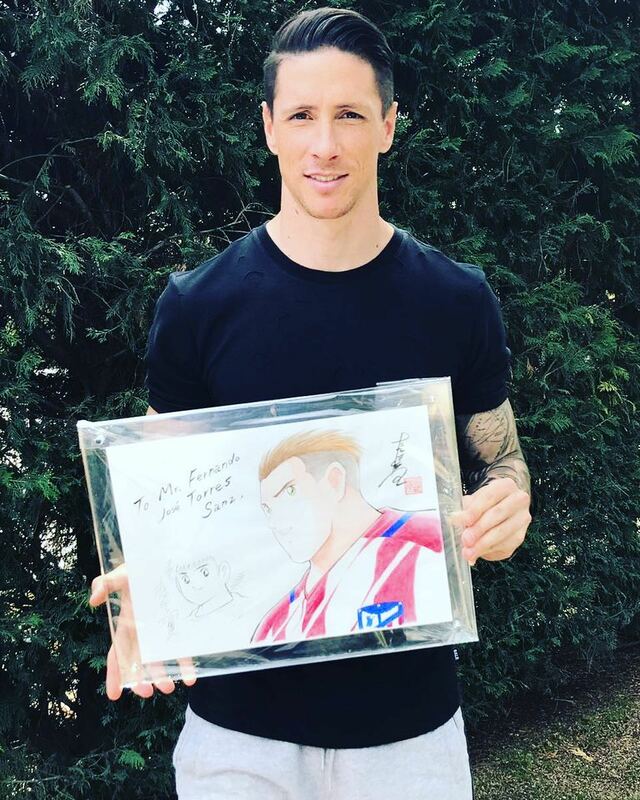 Former Spain striker Fernando Torres has received a hand-drafted portrait from the famous creator of the manga series "Captain Tsubasa". The 34-year-old left Atlético Madrid at the end of last season and was introduced as the newest member of Japanese club Sagan Tosu on Sunday. Having been influenced as a child by the iconic manga and anime series "Captain Tsubasa", known in Spain as "Campeones: Oliver y Benji", Torres was presented with a very special offering from the show's creator Yōichi Takahashi. Yes! I started to like football because of Oliver and Benji. I was between five and seven years old and I had not touched a ball in my life when they started to put Oliver and Benji on TV. I remember that you had to turn the wheel on the television to find the channel. And I stayed glued to the television watching Oliver and Benji. I promise. In fact, once when the president of Sagan Tosu visited Madrid, he brought us a picture of Oliver and Benji where I was one of the characters with the Atlético shirt, and the painting was signed by the author. They found out that I liked it, and they brought this kind of gift.